Morgan Llywelyn often blends historical fiction and historical fantasy. Here are the novels that we think would most interest fantasy readers. The Official Morgan Llywelyn website. Chief Druid Ainvar, his three wives and their children, and about 15 other survivors from their Celtic clan are sailing west to Hibernia after years of hiding in the forests of Gaul after the Romans destroyed their clan and Julius Caesar murdered their charismatic leader, Vercingetorix. Ainvar, who relates their adventure in the first person, expended his druid magic in their last fight against the Romans and he knows how weak his tribe, the Carnutes, is. But the Romans are determined to wipe them out, so their only hope for salvation is to leave Gaul. When their little band arrives in Hibernia, they are at the sufferance and mercy of the Celtic clans who already inhabit the island. They must find a way to fit in with these Celts who have different beliefs and customs. Morgan Llywelyn has written dozens of historical novels about Ireland, the Celts, and the Túatha Dé Danann. 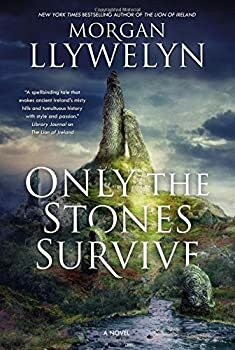 Her latest, Only the Stones Survive, recounts her version of the legendary Gaelic conquest of the Túatha Dé Danann in ancient Ireland. According to the myths, the Milesians sailed to Ireland and, after fighting a battle, and with the help of the bard Amergin, made peace with the fae folk. They divided up the island so that the Milesians lived atop the land while the Túatha Dé Danann lived in the underworld below. Celtic World of Morgan Llywelyn — (1982-2001) These are historical fantasies published by Tor. In the first book, The Horse Goddess, Troy is in ruin and Athens is rising. In this world, a woman whose life is celebrated in legend, meets a Scythian warrior and prince. Their stormy love affair takes them through eighth-century Europe, pursued by a mysterious Druid priest known as the “Shapechanger”. Red Branch — (1989) Publisher: In a land ruled by war and love and strange enchantments, Cuchulain — torn between gentleness and violence, haunted by the croakings of a sinister raven — fights for his honor and his homeland and discovers too late the trap that the gods have set for him in the fatal beauty of Deirdre and the brutal jealousy of King Conor. 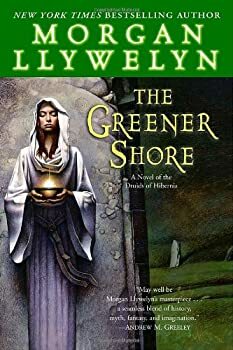 The Elementals — (1993) Publisher: Morgan Llywelyn, internationally acclaimed author of such historical masterpieces as Lion of Ireland and the Irish Century series, is also a brilliant author of fantasy. In The Elementals she crafts a unique environmental fantasy from the legends of our ancestors and the fears of our children. It sweeps from the dawn of history to our own near future. It is the story of Earth and her elements, and of the men and women whose fate lies in her hands, from lost Atlantis and ancient Crete to 19th century New England and the day just after tomorrow. The Elementals is the epic, ongoing tale of humanity’s turbulent relationship with the Earth-as only Morgan Llywelyn could tell it. Cold Places — (1997) Young adult. Publisher: When David McHugh discovers an unexpected talent for finding what he calls “cold places” — sites that have ancient power — it isn’t long until he locates a valuable artifact buried in one of this sites. The find excites his father, a professor of archaeology, who has been encouraging his son to follow in his footsteps. David is pleased to have made his father proud of him, but some becomes frightened. As his “pull” to cold places becomes stronger, David discovers that these freezing energy vortexes provide a direct link to the Ice Age and he finds himself uncontrollably slipping into the past, terrified of being unable to return to the present. Worse yet, the malevolent ice follows him back to his own time! 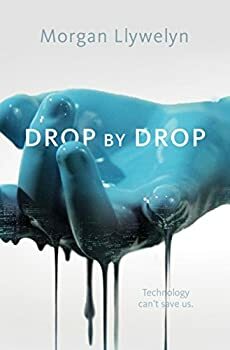 With his new girlfriend, Molly Doyle, he tries to find a way to stop the influence the spirit of the ice is having on modern weather. But while he is battling strange forces, he also struggling to grow up and accept the changes that are taking place in his own life. CLICK HERE FOR MORE NOVELS BY MORGAN LLYWELYN. Arcana — (1995-1996) Morgan Llywelyn and Michael Scott. Publisher: Chronicles the life of Silverhand, a man who has been destined to save a stricken world from the evil forces of Chaos and rebuild his people’s home to the level of glory that survives only in their hearts and memories. 19 Railway Street — (1996) Morgan Llywelyn and Michael Scott. Young adult. Publisher: One house, two children, 137 years between them. In 1776, orphaned but wealthy Sophie Rutledge lives a life of privilege in a fine Georgian house in Dublin, quite unaware that her murder is being plotted. In 1907, Mickser Lawless and his impoverished family occupy the same house, now a tenement, Mick’s father is dying and his family will be thrown into the street to starve. Then they both see ghosts. Sophie is frightened by the phantom of a ragged, starving boy. Mickser is terrified by the apparition of a beautifully dressed young woman. This is the tale of a boy and girl who have absolutely nothing in common but a house — and danger. They cannot help themselves but they can help each other, if they are able to overcome their fear. But time is running out. On Christmas Eve — 1776 and 1907 — events come to a shocking conclusion. Nineteen Railway Street explores the link that connects two different worlds and two remarkable young people on the brink of maturity. This is another wonderful coauthoring of Michael and Morgan that produces macabre spine tingling fast moving stories that are hard to put down. Etruscans: Beloved of the Gods — (1999) Morgan Llywelyn and Michael Scott. Publisher: In the early days of the Roman Empire, the noble Etruscan civilization in Italy is waning, Vesi, a young Etruscan noblewoman, is violated by a renegade supernatural being. Outcast then from Etruria, Vesi bears Horatrim, a child who carries inexplicable knowledge and grows to manhood in only six years. But a savage Roman attack leaves Vesi unresponsive and Horatrim homeless and vulnerable, and he travels to Rome where his talents confound powerful businessman Propertius, who arranges to adopt Horatrim as a son, changing his name to Horatius. And all the while his demon father is seeking him to kill him, for Horatius is a conduit through which the demon might be found and destroyed. CLICK HERE FOR MORE TITLES BY MICHAEL SCOTT.